The Samsung Galaxy A90 is said to be the high-end phone in the A-Series of phones and it could well be company’s first phone with a notch-less display (only if you consider the punch-hole design as a notch). The South Korean giant has confirmed on its website saying that the “Notchless Infinity screen only available on Galaxy A90.” Reportedly, Samsung accidentally made a microsite live on its Indonesia website showing the Galaxy A90 phone. When we tried to access the microsite, we couldn’t get in, which possibly means that the page has been taken down. “All screen and no bezel. The maxed out Notchless Infinity screen gives you the sharpest details, depth, and true-to-life colours for a super immersive experience. “Whether you’re into games, sharing photos, or just kicking back watching some flicks, the ultra-vibrant Super AMOLED screen makes all your media come to life,” the description reportedly read on the website. There is a mention of the pop-up selfie camera in the website but previous reports have suggested that the Samsung Galaxy A90 could come with sliding and rotating camera. Popular tipster @OnLeaks had said that camera on the Samsung Galaxy A90 will be a “kinda mix between Oppo Find X and Oppo N1 systems”, which means the camera module could slide out of the smartphone’s body and rotate to face either the user or the subject behind. If Samsung does decide to go in for a sliding and rotating camera system, it would need to add that crucial (and usually expensive) moving mechanical part. While Samsung may achieve the much-craved near-edge-to-edge design, the longevity of the mechanism will always remain a question. 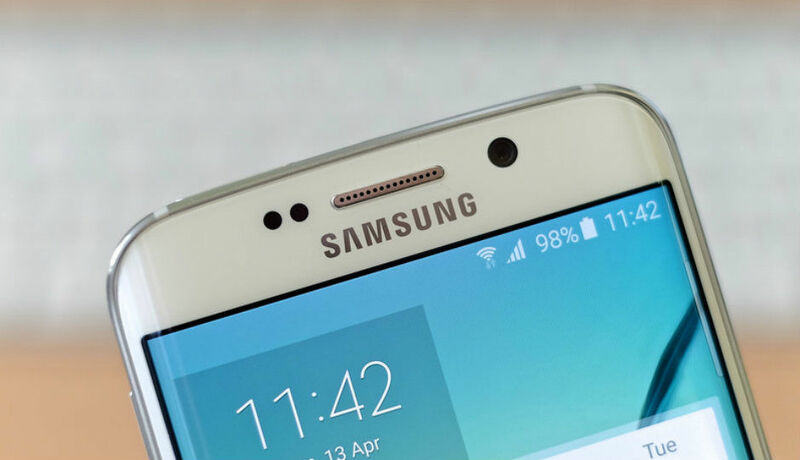 Recently, the Samsung Galaxy A90, along with two other phones, was seen listed on an official Samsung UK website. Moreover, if Samsung chooses to include the moving module, it could cut the cost of including up to two (front) cameras. Due to the rotating mechanism, the same cameras setup can be used to click selfies as well as regular photos.